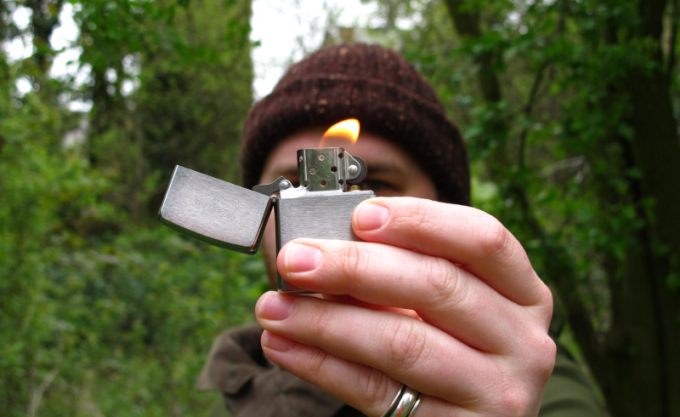 Finding a good quality lighter for your next hiking or backpacking trip or for your survival kit isn’t easy. But there is a way to make sure that you’re getting the absolute best tool to keep your family safe in case of a disaster. In this article we’re going to talk about some of the best waterproof lighter options for your kit and just why you want one for yourself. 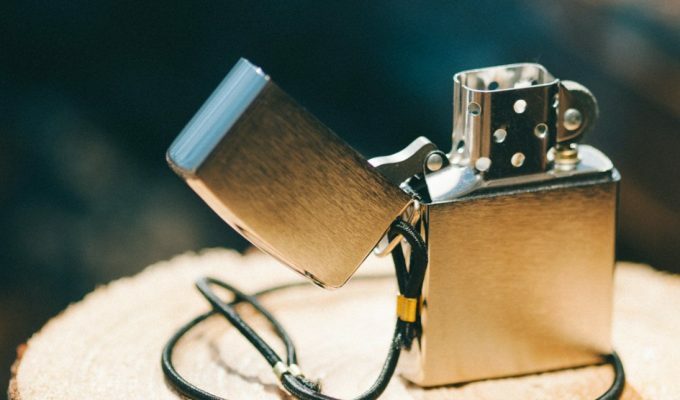 In this article, we’ll analyze some basic characteristics any good lighter should have, as well as some well-known models you’ve probably heard of by now. And to paint you a complete picture, we’ll also let you know which our top 5 choices are. But Why Not Simply Buy a Disposable Lighter? It can be bought anywhere. 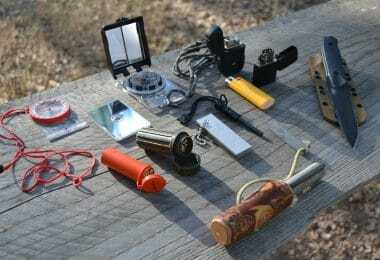 It’s easy to fit more in your survival kit. Can be used under water. Are dependable on the long-term. When you’re camping or hiking in bad weather, you need your equipment working flawlessly even more so than in perfect weather. The best thing about waterproof lighters is that they work in various conditions, even when they’re under water. Of course, different models will withstand different depths and for various time spans, but the point is that if they can do that, then they surely work when it rains. Some interesting gizmos even float, so that’s a plus. If the lighter is properly sealed it will be able to withstand the water and keep working properly when you pull it back out again. Better lighters will even be able to work after water has gotten into them from being dropped in a puddle, so make sure you’re looking for the best choice. Since a storm usually comes accompanied by large gusts of wind, you also need a type of lighter that can produce a flame then. Look for lighters with direct flames, those are the best items because they act on the same principles as torches, and can’t be blown out so easily. Keep in mind that sometimes high winds can come with high altitude as well. 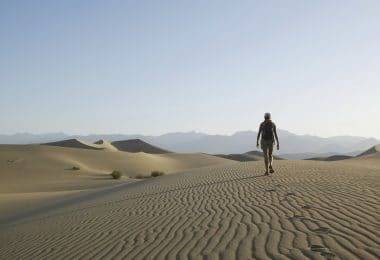 That means you need a lighter that will not only stand up to the strong winds, but to the lack of oxygen as well. After all, you don’t want to purchase multiple lighters for different temperatures or different altitudes, right? Since you’re packing a waterproof lighter for survival conditions, you know that at this point you’re at the mercy of the elements. And you probably don’t have another fire source, which is why you should get one you can rely on, and which doesn’t get damaged too easily. So since you’re looking at waterproof items, you probably should consider one with a sturdy exterior which isn’t prone to rust. But what’s more, some lighters are stronger than you can imagine: they can even hold a few hundred pounds and still function properly. However, if you can’t refill this sort of lighter and need to buy a new one on a regular basis, it’s not much of an advantage. So get a refillable one that will last you for ages. Weight and dimensions. Portability is best achieved when you have a small lighter, like a capsule one. Safety. A decisive factor in any situation, safety is better guaranteed with lighters protected by covers, since there’s less chance of them leaking or causing an unintentional fire. 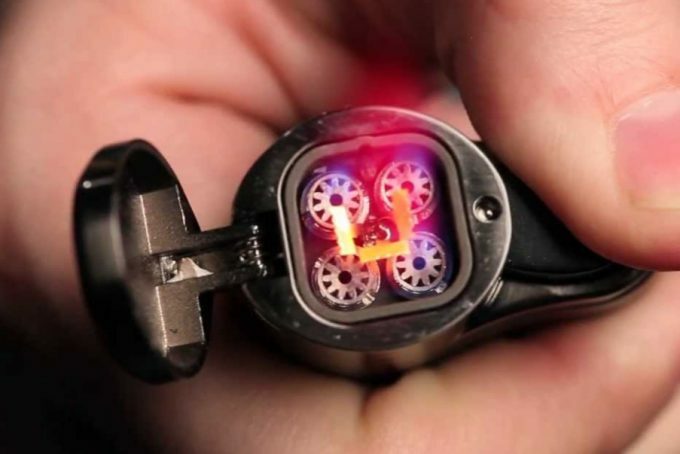 Although this is just a perk, and not even a necessary one, some of the coolest gadgets in this category can work by themselves after you’ve lit them. Basically, they’re a tremendous help since they let you use both hands for other things, like adding more kindling for the fire if you haven’t enough yet. That means you can charge them with any sort of fuel that can actually catch fire and they still work. That’s great because it prevents overcrowding of your survival kit on the one hand, and on the other, it helps you manage by using what you find. Plus, if you’re sure you can’t light it anymore, simply get the stuffing out. 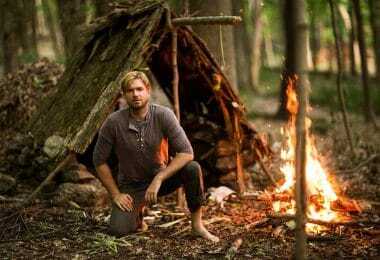 It’s made out of cotton and it can help you start a fire the traditional way. The length of their wick can be set depending on your preferences: bigger length for bigger flame, smaller length for smaller flame. Remember the no-hands option? 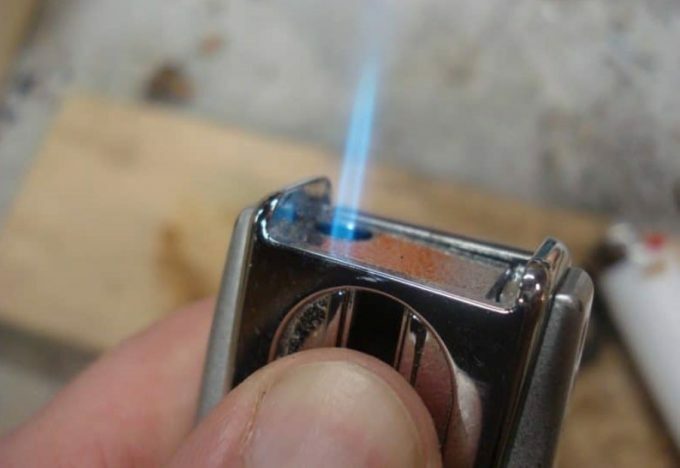 This is what a Zippo can do, allowing you a comfortable hands-free use. That means you can simply put them on a firm surface and let them burn until you get enough tinder or heat yourself some tea. Not that resistant to bad weather. They are packed with a sealant that can’t be dissolved in water, which doesn’t let any water or air get into the combustion chamber. That means they work well under water too. 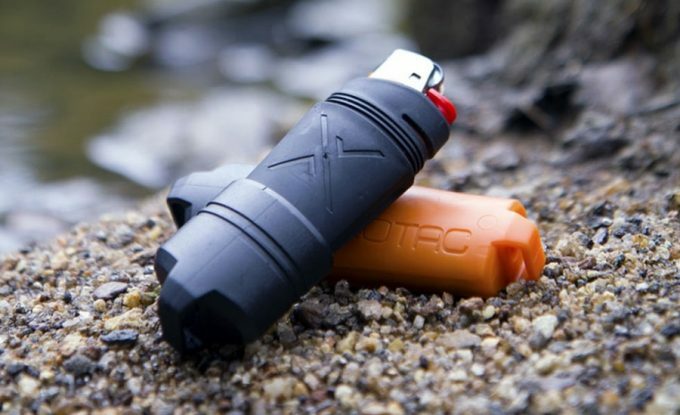 These lighters are able to withstand any sort of bad weather, like rainstorms and snowstorms with massive precipitation and lots of wind. That means they produce a direct flame, that doesn’t get blown out easily. They’re easy to carry because they don’t take up much room, nor are they too hefty, which means they fit perfectly in any bug out bag. Not cold-resistant because they work on butane, which evaporates at an accelerated pace when temperatures drop too much. High-maintenance, because they need constant refueling. Easily submerge them into the water and they can still make a flame. In fact, these are the smallest and lightest models on the market, and they can be worn comfortably around your keychain. Capsule lighters have a long lifespan, seeing as they don’t get damaged easily, but if that happens you can repair them in a jiffy. Besides, the naphtha fuel they work on can be bought literally everywhere. These gizmos can replace a candle anytime, freeing up both your hands. High-maintenance. Since they evaporate their fuel quite rapidly, they need to be refueled on a constant basis. Transportation issues. They might not be fitted perfectly, so you might have some problems when carrying them around, especially if they’re hanging by your keychain or backpack. Not an easy use. Having hermetic properties, their wicks are jammed in pretty hard, which renders them harder to light. Thanks to an O-ring seal and a system of wires that keep it in place securely, water won’t penetrate the combustion chamber. Besides, this means that fuel can’t get out that easily either, which means less evaporation and less maintenance required. Since you can choose the length of the wick, you can pick how big the flame will be. Basically, that leads to more fuel rationing and economizing in drastic conditions. Most models work well in windy conditions, but some of the best can even produce a flame when the wind reaches close to 100 mph. These lighters are indeed graded A since we could only find one flaw: they’re not that good when it’s freezing cold, seeing as butane evaporates at an exponential rate at frost temperatures. After reviewing all the characteristics that a waterproof lighter should have, as well as the most trustworthy models you can find, it’s time to give you our selection. 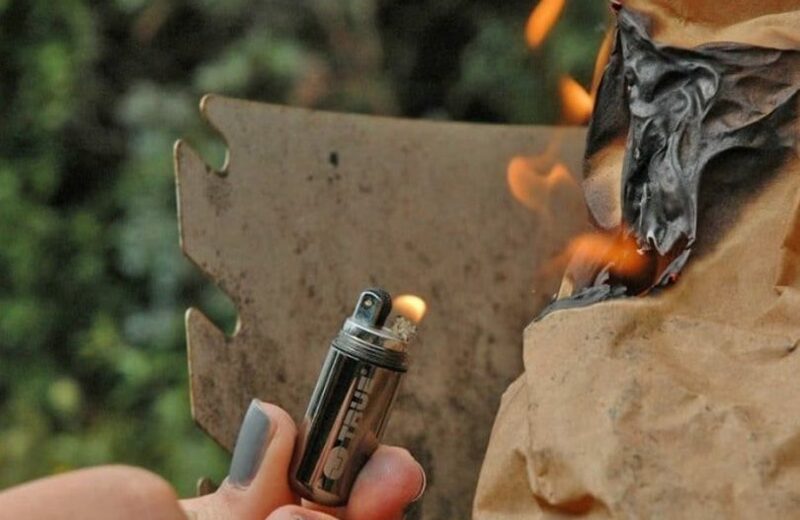 The UST Stormproof Floating Lighter is definitely one that you can count on in raging storms, seeing as the flame produced is windproof, meaning that it can hold its ground even at gusts reaching 80 mph. That makes it very durable overall, complementing its water resistant abilities. Seeing as it has an O-ring design, the whole thing is sealed shut and water can’t penetrate inside it. Moreover, it has a great ability to float, which is something you need to take into account, especially if you’re going on a fishing trip. But the whole thing is very resistant because it has a case made from ABS plastic. That material can withstand different shocks, just like the fuel tank, which is also made from sturdy plastic. 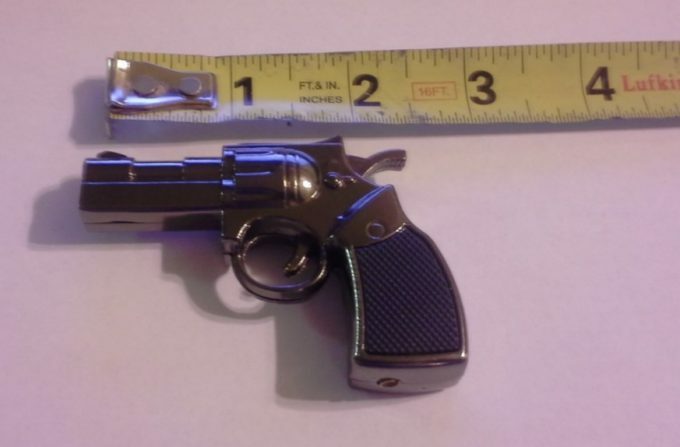 Plus, seeing as this lighter can light up 30,000 times, it’s safe to say it has a long lifespan. The weight and dimensions are quite convenient when it comes to carrying it around with ease, and there’s also an indicator that shows you when it’s ignited, so it’s quite safe to carry. The refueling doesn’t pose many problems either. It works with butane and has an adjustable flame, which means you choose how much fuel you use up. However, butane makes it less useful when the temperature is very low, so that’s a downside. Related: If you’re going to have a lighter you definitely need a way to fill it up and butane fuel is definitely a good option, like this Zippo Butane Fuel. 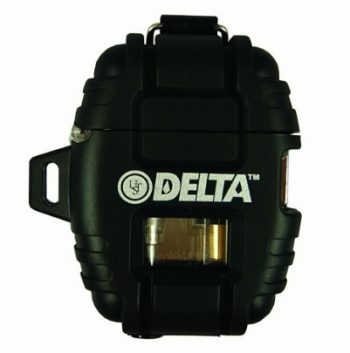 The Windmill Delta Stormproof Lighter is produced by a trustworthy brand when it comes to survival, which is important when it comes to assessing its overall dependability. 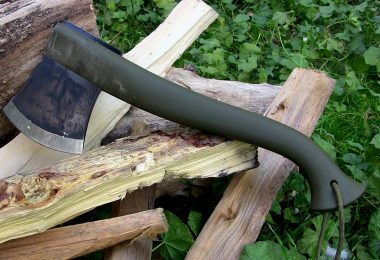 But even though Windmill Delta is a renowned producer of different outdoor products intended for survival purposes, you don’t have to rely only on that detail. This little gizmo has been tested on the field, to ensure maximum reliability and performance. As such, it’s been proven to resist during high winds and nasty storms, even if the wind gusts reach 70 to 80 mph. It burns a direct flame, meaning that it has the same physical properties of a mini-torch, which explains why it’s so resistant during high winds. The materials from which it was constructed render it very durable. As such, the ignition system used allows you to light it up to 30,000 times, and since it’s a piezo-electric ignition that means you can easily activate it with a push. Furthermore, the casing is manufactured from a resistant type of polymer called elastomer, which is great when it comes to dealing with shocks and impacts. Plus, the wires are stainless steel, making them less prone to rusting when submerged into water. That, along with the O-ring seal is what renders the Windmill Delta lighter waterproof. Related: You’re going to need fuel for your lighter and this Vector Butane is a great option that comes at a low price and an easy to use canister. 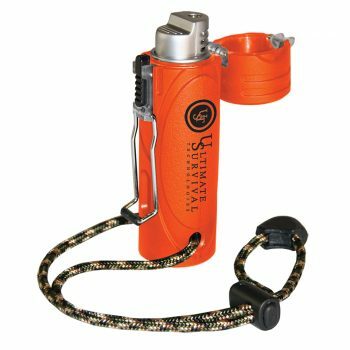 The UST Trekker Stormproof Lighter comes in a bright orange color, but if you prefer darker hues, you can get it at a very similar price. 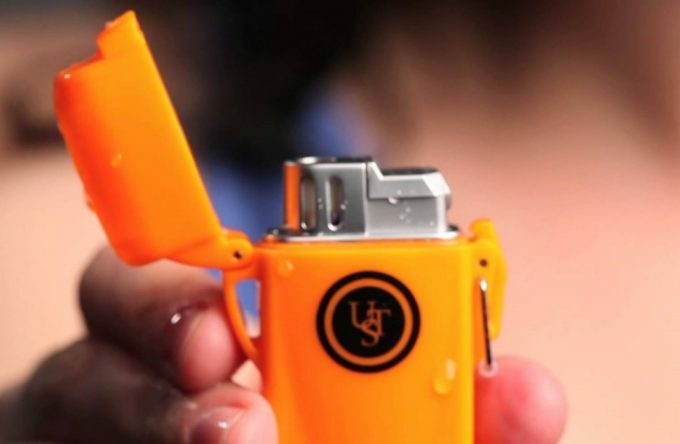 As all the UST products, this lighter is backed by the brand’s reputation, but it has also been tested on the field in order to prove its abilities. As such, it can do quite well in a storm and it’s very durable because the wind can’t extinguish its flame unless it blows with a speed over 80 mph. The direct flame increases its lifespan, making it easier to use and quite durable. In fact, seeing as you can fill it with 0.14 ounces of fuel, it’s safe to say that you’ll be able to light it up about 1,000 times. The piezo-electric ignition is another thing that prolongs its life, seeing as it’s a system that works well for more than 30,000 times. The high durability of this item is ensured by an outer case made from rubber which apart from allowing you a comfortable grip is very resistant to falls and impacts. The stainless steel from which the wires are made can’t rust, which is great when it comes to water resistance. But the fact that it’s sealed with an O-ring further ensures its waterproof abilities. However, take into account that this lighter works with butane gas, which renders it ineffective at very high altitudes when the temperatures drop considerably. Related: The UST Trekker can be used together with Vector 14X Cold filtered butane gas, available in sizes from 1 to 48 packs, just so you never have to worry about having no gas in your lighter. 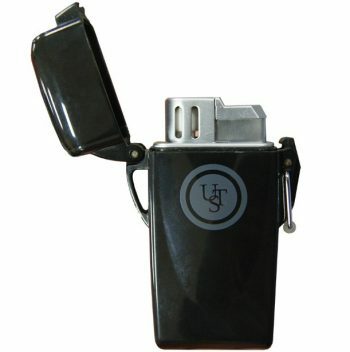 The True Utility TU262 FireStash Lighter is one of the capsule type lighters we’ve previously discussed. That means it’s small enough to fit on your keychain, or anywhere else you want to carry it for maximum convenience. 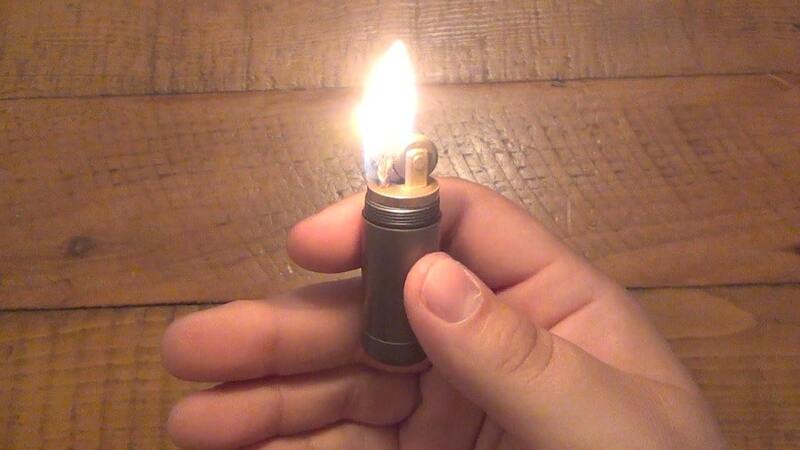 This lighter is perfect for its intended purpose: camping and lighting cigarettes. Plus you can easily fill it up with naphtha fuel that is very accessible. It’s made from high-quality chrome and zinc alloy, so the outer case doesn’t rust when you submerge it in water. 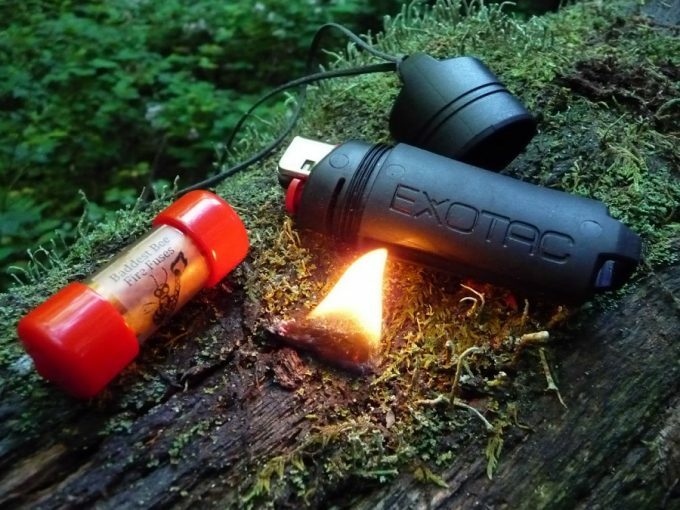 It’s waterproof, so you can easily get a flame even when it’s raining. The O-ring that makes it resistant to water is manufactured from neoprene, which is another good material. 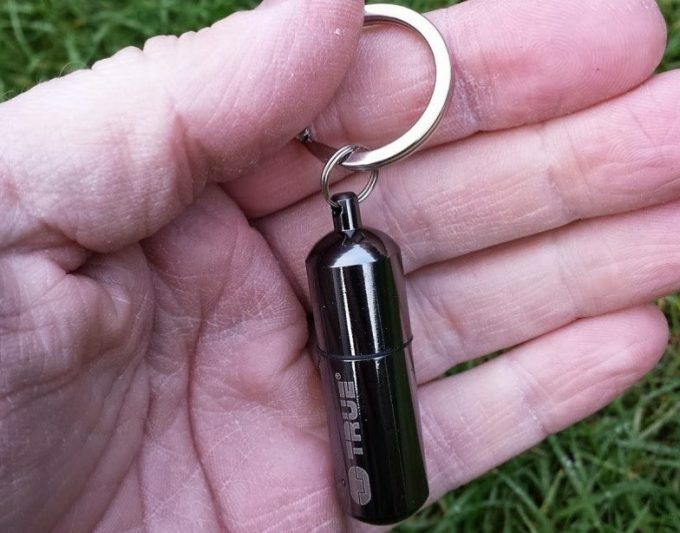 Related: Also, by the same company is the Waterproof Emergency Cash Capsule, which lets you put some money on a keychain and make sure you’re always prepared. 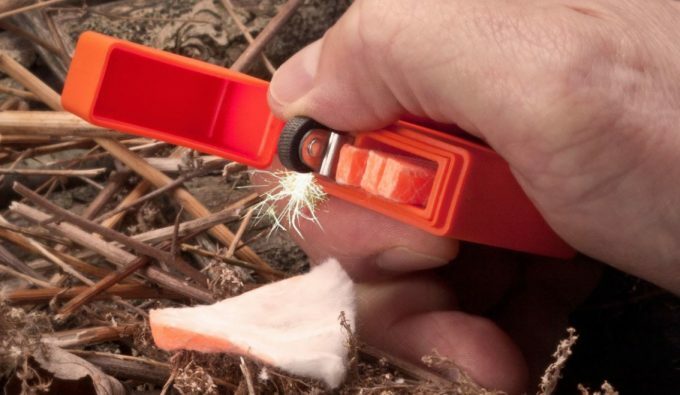 The Coleman Refillable Windproof Butane Lighter is definitely one to consider, seeing as it has a low price for a survival lighter. It isn’t intended to work in colder conditions, which is important when you’re planning to take it out with you. For instance, it’s fueled by butane gas that evaporates quickly if there’s a significant temperature drop below the freezing point. That can happen at high altitudes, so don’t take it with you in the mountains without a backup plan in check. Water resistant when closed, this lighter also has a locking cap to make sure you’re not going to light it accidentally. It has a reliable design which renders it resistant to high winds, thanks to its Quantum system. Besides, this ignition system also helps you light objects that are further away from you, at a maximum 1-inch distance. As opposed to other butane-fueled lighters, this one actually conserves the butane levels, which makes it low-maintenance. That’s if you use the adjustment wheel in order to adjust how high your flame is. Plus, it’s pretty safe since it has a window that allows you to see the fuel level inside and refill it as needed. Related: Always make sure you have enough fuel for your lighter. 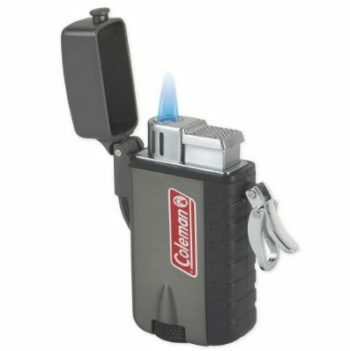 For Coleman Refillable lighter you can use Zippo Butane Fuel, from 78g to 165g. Reviewing these products, it’s easy to get confused by the name. If the package promises a stormproof lighter, that doesn’t mean it will light up under 30 feet of water, at 11,000 feet of altitude or when the temperatures are just right for Santa at the North Pole. Many people misunderstand the product description and specifications, which makes them give low ratings. So ensure you do your research very thoroughly and decide which sort of waterproof lighter you need depending on your precise destination and purposes. Survival has a different meaning for different people. That being said, tell us more about your experience. 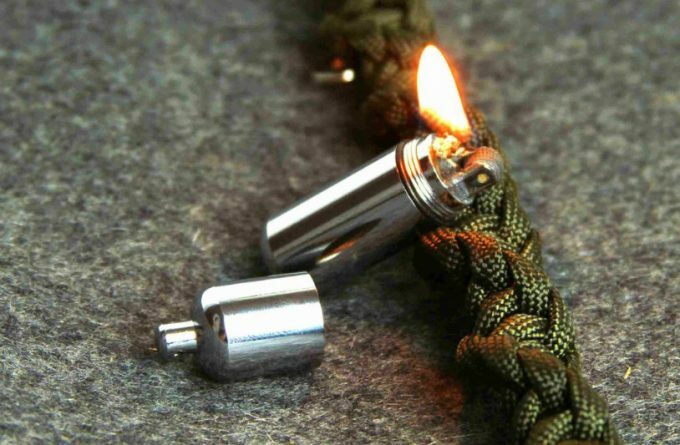 Have you bought a survival lighter and been let down? Or were you satisfied with your purchase? When do you plan to use this sort of gizmo? Is there a product you really love? Let us know.